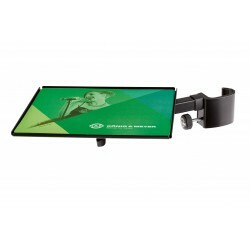 Laptop Stand Il y a 5 produits. Clampable mouse rest for tubes up to 30 mm diameter. Mouse pad included. 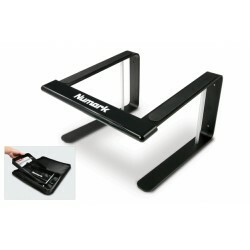 The laptop stand offers stability and safety. The generously sized tray provides space for all common laptops. 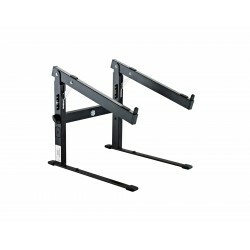 Thanks to the adjustable clamping bolts with rubber caps, the laptop is protected and can be secured safely on the stand. 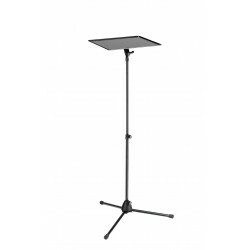 The convenient and comfortably sized laptop rest of 400 x 290 mm is large enough to hold notebooks, laptops or similar products in a range of sizes. 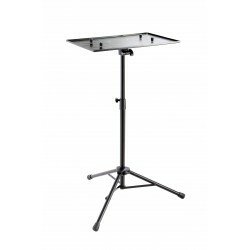 This practical and extremely stable table stand is perfect for laptops, DJ systems and other multimedia equipment. The support arms can very quickly and easily be tilted to max. 33° in 5 stages.